Una Rose Powell, age 70, of Sanford, NC passed away on Monday, November 6, 2017. Una was born May 1, 1947 in New York, New York; she was the daughter of the late Opal Curry. 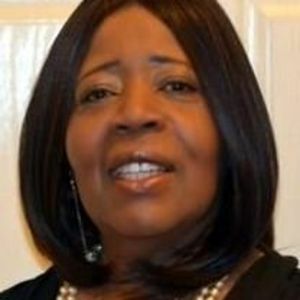 She is survived by her loving husband of 52 years, Carmen D. Powell, Sr.; three children, Lezana Ingram, Carmen D. Powell, Jr. and Dawn Rogers; a brother, Ron James of Teaneck, New Jersey; four grandchildren, Jared, Cheyenne, Kobe, and Christopher and a host of nieces, nephews, cousins, family and friends. A celebration of her life will be held on Saturday, November 18, 2017 at 11:00 a.m., Apex Funeral Home Chapel, 550 W. Williams St., Apex. In lieu of flowers, contributions to the American Liver Foundation (www.liverfoundation.org/howtohelp) / Make a Memorial Gift in Memory of UNA R. POWELL (Person Notified: Carmen Powell - 607 Dycus Road, Sanford, NC 27330); Breast Cancer Awareness Research; Alzheimer's Associations; or a charity of one's choice would be appreciated.